DRF5150S is a type of low-cost sub-1 GHz transmitter module designed for operations in the unlicensed ISM (Industrial Scientific Medical) and LPRD bands. GFSK (Frequency Shift Keying) modulation/demodulation, multi-channel operation, high bandwidth efficiency and anti-blocking performance make DRF5150S modules easy to realize the robust and reliable wireless link. 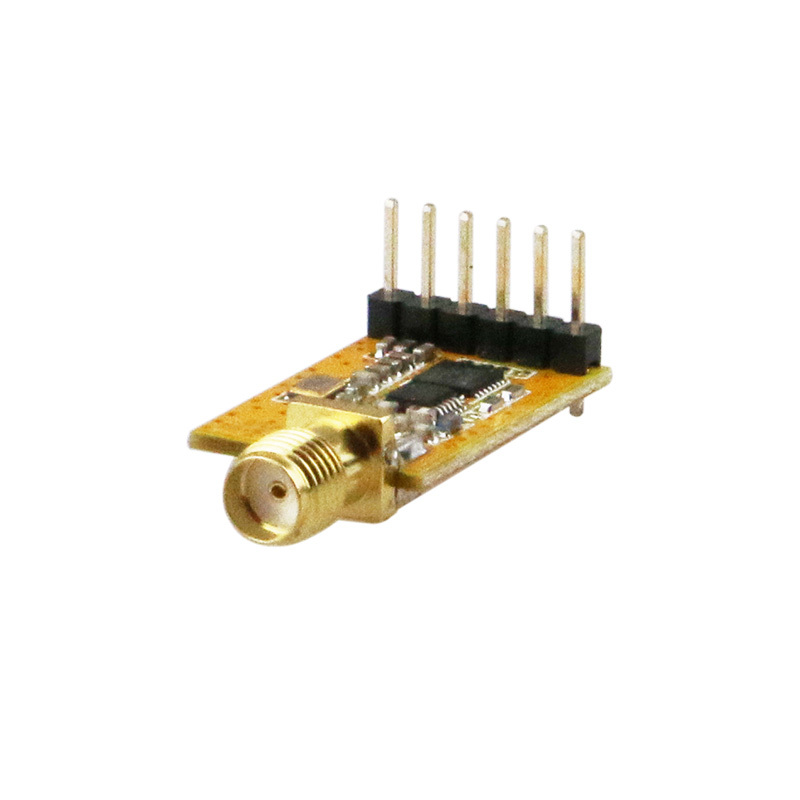 The module integrates 12bit high resolution ADC which can be used to connect different types of analogue or digital sensors such as PT1000, DS18B20, SHT21/25, etc. Users don’t need to write codes between sensor and DRF5150S module and no external MCU or other components needed. For the simplest application users can solder sensor on the pins of DRF5150 module to build a wireless sensor transmitting system easily. 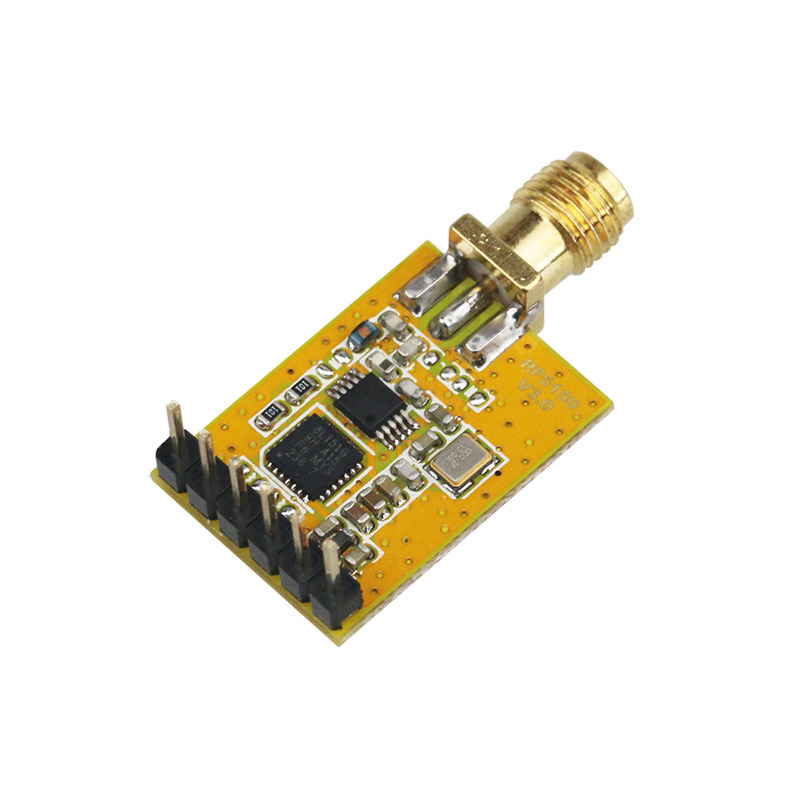 DRF5150S module can collect data from sensors and send it to transceiver module DRF4432S at configurable intervals, which minimizes the BOM cost and reduces development time for new projects. The module can be configured to work in different channels with 200k Hz space. Through DRF Tool users also can change other parameters such as serial data rate, center frequency, output power, transmit interval, sensor types, etc. DRF5150S integrates 256 bytes buffer. When the buffer is empty, users can transfer 256 bytes data per time and even limitless data transfer can be achieved as long as RF data rate (RF module to RF module) is configured to be faster than serial data rate (MCU to RF module). DRF5150S operates at 2.1~3.6V with extra low standby current which makes it suitable for battery powered-up applications.